Nowadays, children as young as 10 are already learning to dive. But can you ever be too old for this exciting underwater activity? That’s a question that’s being debated in some circles. Why Do Some People Think That Seniors Shouldn’t Dive? Until recently, medical experts believed that seniors are not fit for diving. After all, by definition seniors are old, and old age comes with a myriad of health conditions that weaken the body and the mind. Some experts believed that because the lungs of an old person no longer work as well as that of a younger person, seniors can have difficulty when diving underwater. It was thought that their lungs may not react well to water pressure changes and to the air from a scuba tank. More recent findings, however, have revealed that senior divers were not much different from younger divers. Their lungs responded to the changes in water pressure about the same way. Older divers were also able to keep a good balance of oxygen and carbon dioxide. Admittedly, some health conditions may make it more sensible for old people not to engage in diving. For example, if you have a heart problem, then diving may not be ideal for you. That’s also true if you suffer from paralysis issues, blood pressure problems, or if you’re still recovering from a recent surgery. 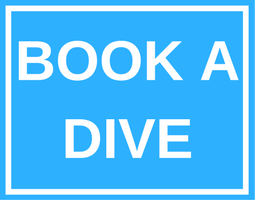 If you’re a senior and you want to learn how to dive, you’ll need to answer a medical questionnaire before you’re allowed to do so. For those who are 45 years old and above, the questions may cover lifestyle habits, any history of heart attack in the family, and your cholesterol levels. The form lists down several crucial pre-existing medical conditions. If you have any of them, you’ll need to get your doctor’s written consent before you can proceed. But once you get that permission, you’re considered fit regardless of your age. You’ll just need to complete the swim tests that are required so that you establish your physical fitness. When you do, it won’t matter if you’re nearing 100. Just in case you don’t know, Jacque Cousteau had problems walking or even staying upright while on land. But in the water, he was fit enough that he was able to dive well into his eighties. Today, that’s no longer rare, as 50+ year old divers are becoming much more common than before. 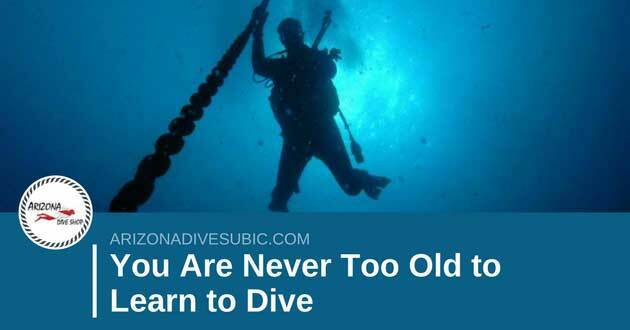 All in all, if you’re in good health then you’re not too old to learn to dive. In fact, for many people who are now well past retirement age, diving may be the perfect hobby. It’s not too expensive, and it’s an exciting way to keep the body healthy and the mind sharp. Your age may even be an advantage, as you’re probably wiser and more mature in handling problems and emergencies underwater than younger people. Diving is for everyone, so don’t let old age alone dictate what you can and cannot do. Just got my open water dive license, age 53. Perhaps a late starter but this is really enjoying.